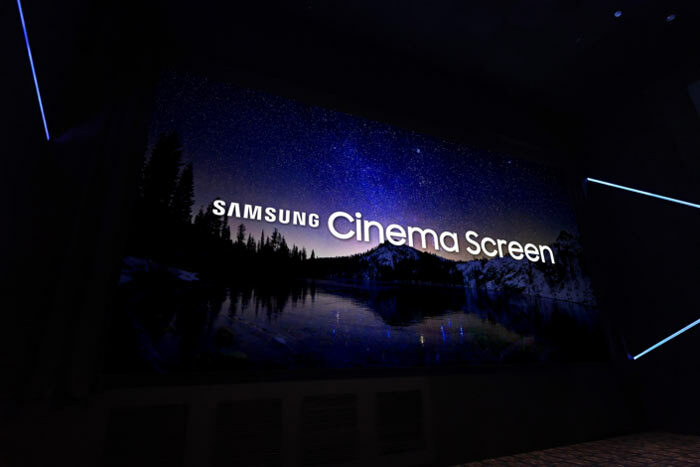 Samsung has debuted the "world's first cinema LED display" in its home country of South Korea. 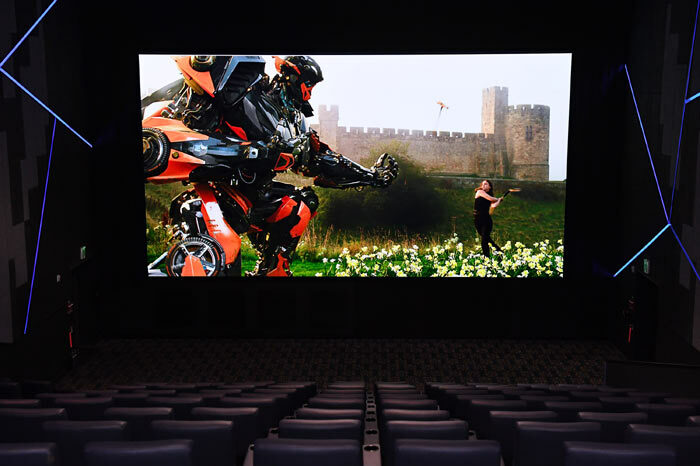 The 33.8ft (10.3m) wide display was installed in one of the many cinemas in Korea run by Lotte Cinemas / Entertainment. Samsung's cinema LED display boasts 10x brightness compared to a traditional movie projector screen, 4K HDR visuals, and 'true-to-life' audio system created by Harman, JBL and Samsung Audio labs. Sharper and more realistic colours will prove more immersive for viewers, thinks HS Kim, President of Visual Display Business at Samsung Electronics. Kim was excited to partner with Lotte Cinema to roll out the technology in Samsung's home country. Samsung provided a few technical details of its now commercial cinema LED display. This 4,096 by 2,160 pixels screen offers a peak brightness of 146fL. Its distortion-free image "leverages ultra-contrast and low-tone greyscale settings to showcase the brightest colours, deepest blacks and most pristine whites at a nearly infinite contrast ratio," it is claimed. Enhancing the cinema experience is a state-of-the-art audio system including tech from Harman, JBL and Samsung. Powerful speakers border the screen and JBL's Sculpted Surround system is utilised here. Thanks to its brightness qualities Samsung sees its HDR cinema LED display used beyond the traditional cinema role - for presentations in either dark or ambient lighting conditions, for example. The display could also be put to great use at corporate events, concerts, sports event viewing and gaming competitions. Wish I hadn't read this - now know that Derby Showcase has bigger one than Leicester. Surprisingly difficult to find out cinema screen sizes. I did not think that cinema projection would lose it's brightness advantage over “TV” displays. I guess it could mean that cinemas could occupy less space - but might that be at the expense of the change to acoustics?